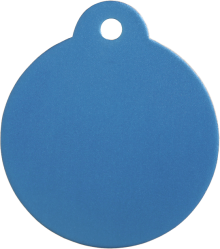 *NOTE: Whilst this tag range is corrosion resistant, it is not scratch resistant. Therefore, please ensure there are no other items attached to the collar causing friction with your tag. **Aluminium is a malleable material and may bend if caught/pulled on something (this is not a fault of the tag and is therefore not covered under our replacement guarantee).